3.1. Dielectrophoresis. We have previously shown that dielectrophoresis can be a valuable tool for bacterial cell sorting and characterization. We are currently using different chip designs (2D and 3D carbon electrodes) to: a) study the effect of electric fields on bacterial cell physiology; b) combine DEP with other molecular protocols for detection and identification of different types of cells. Recent results have shown that DEP chips can be used to increase PCR detection of yeast cells. 3.2. Atomic force microscopy (AFM). Conventional AFM approaches have been shown to be powerful techniques for characterizing both biomaterials and biomolecules. In a joint project with the Nanoscale Bioelectrical Characterization group (page 76), we intend to use electrical- AFM to characterize the bacterial cell envelope. We also plan to use this approach to analyze the structural and physiological properties of bacterial living cells. Two groups working together at IBEC demonstrate the potential of electrical studies of single bacterial cells in a paper published in ACS Nano. Gabriel Gomila’s Nanoscale Bioelectrical Characterization group and that of Antonio Juárez, Microbial Biotechnology and Host-pathogen Interaction, combined their expertise on microscopic electrical measurements and bacteria respectively to come up with a way to study the response to external electrical fields of just a single bacterial cell. A researcher’s paper published in the journal Environmental Microbiology is just one step in the right direction to tackle a major public health issue that he and other experts say could soon be devastating. An IBEC group has embarked on a technology transfer venture together with two biopharmaceutical companies. Antonio Juárez’s Microbial Technology and Host-Pathogen Interaction lab has formed a consortium with CZV Veterinaria, a leader in the manufacture of veterinary products based in Porriño, Galicia, and Valls Companys’ pharmaceutical arm MEVET in Lleida. Their two-year project aims to obtain strains of Salmonella with weakened virulence, which can then be used to develop a vaccine to reduce the incidence of the infection in poultry farms. Salmonella, a leading cause of food poisoning, is zoonotic, able to spread to man through contaminated animal food products. This week IBEC will be hosting the 8th meeting of the Molecular Microbiology group of the Sociedad Española de Microbiología (SEM). The congress will offer the chance for participants to learn about noteworthy advances in the field and to discuss the particular trends and challenges in this area. Researchers at IBEC, IRB Barcelona and the UB identify the strategy used by enterobacteria to acquire resistance and pathogenicity. 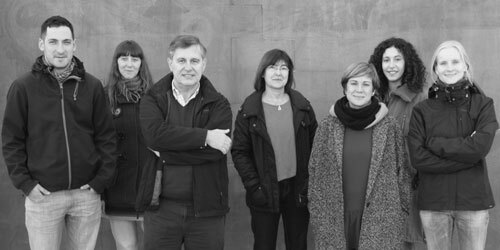 The Cystic Fibrosis Association of Catalonia (Asociación Catalana de Fibrosis Quística) provides active support to the research conducted by Doctor Eduard Torrents, a member of IBEC´s Microbial Biotechnology and Host-Pathogen Interaction Group, into the enzyme that promotes the growth of the bacteria linked to this disease. The nucleoid-associated protein H-NS silences unwanted expression of acquired foreign DNA. Ali and colleagues recently identified which horizontally-acquired genes are targeted by H-NS in Salmonella to avoid fitness loss. The reported data strengthen our view about the role of H-NS in bacterial evolution driven by horizontal gene transfer. The nucleoid-associated protein H-NS silences unwanted expression of acquired foreign DNA. Ali and colleagues recently identified which horizontally-acquired genes are targeted by H-NS in Salmonella to avoid fitness loss. The reported data strengthen our view about the role of H-NS in bacterial evolution driven by horizontal gene transfer. The Hha family of proteins is involved in the regulation of gene expression in enterobacteria by forming complexes with H-NS-like proteins. Whereas several amino acid residues of both proteins participate in the interaction, some of them play a key role. Residue D48 of Hha protein is essential for the interaction with H-NS, thus the D48N substitution in Hha protein abrogates H-NS/Hha interaction. Despite being a paralog of H-NS protein, StpA interacts with HhaD48N with higher affinity than with the wild type Hha protein. To analyze whether Hha is capable of acting independently of H-NS and StpA, we conducted transcriptomic analysis on the hha and stpA deletion strains and the hhaD48N substitution strain of Salmonella Typhimurium using a custom microarray. The results obtained allowed the identification of 120 genes regulated by Hha in an H-NS/StpA-independent manner, 38% of which are horizontally acquired genes. A significant number of the identified genes are involved in functions related to cell motility, iron uptake, and pathogenicity. Thus, motility assays, siderophore detection and intra-macrophage replication assays were performed to confirm the transcriptomic data. Our findings point out the importance of Hha protein as an independent regulator in S. Typhimurium, highlighting a regulatory role on virulence. Abstract With the use of the atomic force microscope (AFM), the Nanomicrobiology field has advanced drastically. Due to the complexity of imaging living bacterial processes in their natural growing environments, improvements have come to a standstill. Here we show the in situ nanoscale imaging of the growth and division of single bacterial cells on planar substrates with the atomic force microscope. To achieve this, we minimized the lateral shear forces responsible for the detachment of weakly adsorbed bacteria on planar substrates with the use of the so called dynamic jumping mode with very soft cantilever probes. With this approach, gentle imaging conditions can be maintained for long periods of time, enabling the continuous imaging of the bacterial cell growth and division, even on planar substrates. Present results offer the possibility to observe living processes of untrapped bacteria weakly attached to planar substrates. We describe a novel continuous-flow cell concentrator micro-device based on dielectrophoresis (DEP), and its associated custom-made control unit. The performances of a classical interdigitated metal electrode-based DEP microfluidic device and this enhanced version, that includes insulator-based pole structures, were compared using the same setup. Escherichia coli (E. coli) samples were concentrated at several continuous flows and the device's trapping efficiencies were evaluated by exhaustive cell counts. Our results show that pole structures enhance the retention up to 12.6%, obtaining significant differences for flow rates up to 20 μl/min, when compared to an equivalent classical interdigitated electrodes setup. In addition, we performed a subsequent proteomic analysis to evaluate the viability of the biological samples after the long exposure to the actuating electrical field. No E. coli protein alteration in any of the two systems was observed. This manuscript presents a portable and low cost electronic system for specific point-of-use dielectrophoresis applications. The system is composed of two main modules: a) a multiphase generator based on a Class E amplifier, which provides 4 sinusoidal signals (0°, 90°, 180°, 270°) at 1 MHz with variable output voltage up to 10 Vpp (Vm) and an output driving current of 1 A; and b) a dielectrophoresis-based microfluidic chip containing two interdigitated electrodes. The system has been validated by concentrating Escherichia coli (E. coli) at 1 MHz while applying a continuous flow of 5 µL/min. The device functionalities were verified under different conditions, achieving an 83% trapping efficiency when counter-phased signals are used. We quantified the electrical polarization properties of single bacterial cells using electrostatic force microscopy. We found that the effective dielectric constant, εr,eff, for the four bacterial types investigated (Salmonella typhimurium, Escherchia coli, Lactobacilus sakei, and Listeria innocua) is around 3–5 under dry air conditions. Under ambient humidity, it increases to εr,eff ~ 6–7 for the Gram-negative bacterial types (S. typhimurium and E. coli) and to εr,eff ~ 15–20 for the Gram-positive ones (L. sakei and L. innocua). We show that the measured effective dielectric constants can be consistently interpreted in terms of the electric polarization properties of the biochemical components of the bacterial cell compartments and of their hydration state. These results demonstrate the potential of electrical studies of single bacterial cells. It is believed that the main role of plasmids that encode multiple antibiotic resistance is to confer their hosts the ability to survive in the presence of antimicrobial compounds. In the pathogenic bacterium Salmonella, plasmids of the incompatibility group HI1 account for a significant proportion of antibiotic resistance phenotypes. In this work, we show that plasmid R27 has a strong impact on the global transcriptome of SalmonellaTyphimurium strain SL1344 when cells grow at low temperature and enter the stationary phase. Down-regulated genes include pathogenicity islands, anaerobic respiration and metabolism determinants. Up-regulated genes include factors involved in the response to nutrient starvation, antimicrobial resistance, iron metabolism and the heat shock response. Accordingly, cells harbouring R27 are more resistant to heat shock than plasmid-free cells. The use of a different IncHI1 plasmid, pHCM1, provided evidence that these plasmids facilitate adaptation of Salmonella to environmental conditions outside their host(s). This is consistent with the fact that conjugative transfer of IncHI1 plasmids only occurs at low temperature. A significant number of the R27-dependent alterations in gene expression could be correlated with expression of a plasmid-encoded orthologue of the global modulator H-NS, which is up-regulated when cells grow at low temperature. Bacterial conjugation promotes horizontal gene transfer and, consequently, the acquisition of new capabilities such as resistance to antimicrobial compounds and virulence related traits. Conjugative plasmids belonging to the incompatibility group HI are associated with multidrug resistance in Gram-negative pathogens. IncHI plasmid conjugation is thermodependent and all transfer-related genes are encoded in six operons (tra operons). Using R27, the prototype of IncHI1 plasmids, we reported that the plasmid-encoded factor HtdA represses four of the six tra operons. Moreover, our results indicated that other R27 factors were required for appropriate expression of the tra genes. In this report, using R27 libraries and random mutagenesis assays, two genes - trhR and trhY- have been identified as essential for the transcriptional expression of four tra operons and, accordingly, for the R27 conjugation. TrhR and TrhY are required simultaneously and their stimulatory activity is counteracted by HtdA. Functional and physical interactions between TrhR, TrhY and HtdA suggest that they form a three-element regulatory circuit that controls conjugation of IncHI plasmids. Expression studies suggest that H-NS represses conjugation at high temperature by repressing trhR expression. Remarkably, we show that this regulatory circuit is highly conserved among the IncHI plasmids. The holE gene is an enterobacterial ORFan gene (open reading frame [ORF] with no detectable homology to other ORFs in a database). It encodes the Î¸ subunit of the DNA polymerase III core complex. The precise function of the Î¸ subunit within this complex is not well established, and loss of holE does not result in a noticeable phenotype. Paralogs of holE are also present on many conjugative plasmids and on phage P1 (hot gene). In this study, we provide evidence indicating that Î¸ (HolE) exhibits structural and functional similarities to a family of nucleoid-associated regulatory proteins, the Hha/YdgT-like proteins that are also encoded by enterobacterial ORFan genes. Microarray studies comparing the transcriptional profiles of Escherichia coli holE, hha, and ydgT mutants revealed highly similar expression patterns for strains harboring holE and ydgT alleles. Among the genes differentially regulated in both mutants were genes of the tryptophanase (tna) operon. The tna operon consists of a transcribed leader region, tnaL, and two structural genes, tnaA and tnaB. Further experiments with transcriptional lacZ fusions (tnaL::lacZ and tnaA::lacZ) indicate that HolE and YdgT downregulate expression of the tna operon by possibly increasing the level of Rho-dependent transcription termination at the tna operon's leader region. Thus, for the first time, a regulatory function can be attributed to HolE, in addition to its role as structural component of the DNA polymerase III complex. Background The HilA protein is the master regulator of the Salmonella pathogenicity island 1 (SPI1). EilA and YgeH proteins show a moderate similarity to HilA and are encoded in pathogenicity islands from several E. coli strains, both pathogenic and non-pathogenic. In the present work we characterize the YgeH protein from the enteroaggregative E. coli strain 042 (locus tag EC042_3050). Results We show that both E. coli 042 YgeH and EilA proteins are able to functionally replace HilA in Salmonella. Interestingly, this is not the rule for all YgeH proteins: the YgeH protein from the enterohaemorragic E. coli strain O157 appears to be non-functional. ygeH expression is not influenced by growth osmolarity or temperature, and moderately increases in cells entering the stationary phase. H-NS represses ygeH expression under all growth conditions tested, and binds with specificity to the ygeH promoter region. As expected, expression of ETT2 (Escherichia coli type 3 secretion system 2) genes requires YgeH: ETT2 operons are downregulated in a ygeH mutant. Accordingly, since H-NS represses ygeH expression, ETT2 expression is significantly increased in an hns mutant. Conclusion E. coli 042 YgeH protein is functional and able to replace HilA in Salmonella. ETT2 gene expression requires YgeH activity which, in turn, is subjected to H-NS silencing. This manuscript presents portable and low cost electronic system for specific point-of-use dielectrophoresis applications. The system is composed of two main modules: a) a multiphase generator based on a Class E amplifier, which provides 4 sinusoidal signals (0º, 90º, 180º, 270º) at 1 MHz with variable output voltage up to 10 Vpp (Vm) and an output driving current of 1 A; and b) a dielectrophoresis-based microfluidic chip containing two interdigitated electrodes. The system has been validated by concentrating Escherichia Coli at 1 MHz while applying a continuous flow of 5 μL/min. Device functionalities were verified under different conditions achieving a 83% trapping efficiency in the best case. Hha-like proteins are an evolutive trait of members of the family Enterobacteriaceae. These proteins mimic the oligomerization domain of the nucleoid-associated protein H-NS and interact with this latter protein to modulate gene expression. In this report, we provide evidence that, as has been shown for H-NS, Hha-like proteins play an essential role facilitating acquisition of horizontally transferred DNA in both Escherichia coli and Salmonella. Incorporation of conjugative plasmids such as pHly152 or R27 results in a fitness cost in E. coli or Salmonella strains that lack Hha-like proteins. E. coli spontaneous derivatives from double hha ydgT mutants that showed an increased growth rate and a restored fitness overexpressed the H-NS protein. In addition to reinforcing the role of H-NS/Hha-modulating xenogeneic DNA, the results obtained demonstrate that the Enterobacteriaceae display regulatory features not found in other bacteria that facilitate incorporation of horizontally transferred DNA. Bacterial colonization plays a key role in dental implant failure, because they attach directly on implant surface upon implantation. Between different types of bacteria associated with the oral environment, Streptococcus sanguinis is essential in this process since it is an early colonizer. In this work the relationship between titanium surfaces modified by shot blasting treatment and S. sanguinis adhesion; have been studied in approached human mouth environment. Bacteria pre-inoculated with routinary solution were put in contact with titanium samples, shot-blasted with alumina and silicon carbide, and adhesion results were compared with those obtained when bacteria were pre-inoculated with modified artificial saliva medium and on saliva pre-coated titanium samples. Our results showed that bacterial adhesion on titanium samples was influenced by culture conditions. When S. sanguinis was inoculated in routinary culture media, colonies forming unities per square millimeter presented an increment correlated with roughness and surface energy, but separated by the type of particle used during shot-blasting treatment; whereas in modified artificial saliva only a relationship between bacteria adhered and the increment in both roughness and surface energy were observed, regardless of the particle type. Finally, on human saliva pre-coated samples no significant differences were observed among roughness, surface energy or particle. R27 is the prototype of the IncHI group of conjugative plasmids, which are associated with multidrug resistance in several relevant pathogens. The transfer of this plasmid is thermodependent and all transfer-related genes are encoded in six operons (tra operons). Very little is known about the factors involved in the regulation of the R27 conjugation. This report describes transcriptional studies of the six tra operons. Our results indicate that HtdA, encoded in the R27 plasmid, is involved in the transcriptional repression of four tra operons (F, H, AC and Z). Although HtdA plays a pivotal role in the transcriptional regulation of those operons, it does not exert its effect as a classical repressor. The data indicate the existence of a crosstalk between HtdA and other unknown regulatory factors. The HtdA-mediated regulation of conjugation is independent of the R27 H-NS protein. H-NS and Hha belong to the nucleoid-associated family of proteins and modulate gene expression in response to environmental stimuli. Genes coding for these proteins can be either chromosomally or plasmid-encoded. In this work, we analyse the regulatory role of the Hha protein encoded in the virulence plasmid of the enterohemorrhagic Escherichia coli O157:H7 (HhapO157). This plasmid is present in all clinical isolates of E. coli O157:H7 and contributes to virulence. Both, HhapO157 and E. coli O157:H7-chromosomal Hha (Hhachr) exhibit a significant degree of similarity. The hha gene from plasmid pO157 is transcribed from its own putative promoter and is overexpressed in a chromosomal hha mutant. As its chromosomal counterpart, HhapO157 is able to interact with H-NS. Remarkably, HhapO157 targets only a subset of the genes modulated by Hhachr. This has been evidenced by both assaying the ability of HhapO157 to complement expression of a specific operon (i.e., the haemolysin operon) and by comparing the global transcriptome of the wt strain and its hhap, hhac and hhapc mutant derivatives. HhapO157 and Hhachr share some common regulatory features, however they also display specific targeting of some genes and even a different modulatory role in some others. Ribonucleotide reductase (RNR) is an essential enzyme for all living organisms since is the responsible for the last step in the synthesis of the four deoxyribonucleotides (dNTPs) necessary for DNA replication and repair. In this work, we have investigated the expression of the three-RNR classes (Ia, Ib and III) during Escherichia coli biofilm formation. We show the temporal and spatial importance of class Ib and III RNRs during this process in two different E. coli wild-type strains, the commensal MG1655 and the enteropathogenic and virulent E2348/69, the prototype for the enteropathogenic E. coli (EPEC). We have established that class Ib RNR, so far considered cryptic, play and important role during biofilm formation. The implication of this RNR class under the specific growth conditions of biofilm formation is discussed. BACKGROUND:Ribonucleotide reduction is the only de novo pathway for synthesis of deoxyribonucleotides, the building blocks of DNA. The reaction is catalysed by ribonucleotide reductases (RNRs), an ancient enzyme family comprised of three classes. Each class has distinct operational constraints, and are broadly distributed across organisms from all three domains, though few class I RNRs have been identified in archaeal genomes, and classes II and III likewise appear rare across eukaryotes. In this study, we examine whether this distribution is best explained by presence of all three classes in the Last Universal Common Ancestor (LUCA), or by horizontal gene transfer (HGT) of RNR genes. We also examine to what extent environmental factors may have impacted the distribution of RNR classes.RESULTS:Our phylogenies show that the Last Eukaryotic Common Ancestor (LECA) possessed a class I RNR, but that the eukaryotic class I enzymes are not directly descended from class I RNRs in Archaea. Instead, our results indicate that archaeal class I RNR genes have been independently transferred from bacteria on two occasions. While LECA possessed a class I RNR, our trees indicate that this is ultimately bacterial in origin. We also find convincing evidence that eukaryotic class I RNR has been transferred to the Bacteroidetes, providing a stunning example of HGT from eukaryotes back to Bacteria. Based on our phylogenies and available genetic and genomic evidence, class II and III RNRs in eukaryotes also appear to have been transferred from Bacteria, with subsequent within-domain transfer between distantly-related eukaryotes. Under the three-domains hypothesis the RNR present in the last common ancestor of Archaea and eukaryotes appears, through a process of elimination, to have been a dimeric class II RNR, though limited sampling of eukaryotes precludes a firm conclusion as the data may be equally well accounted for by HGT.CONCLUSIONS:Horizontal gene transfer has clearly played an important role in the evolution of the RNR repertoire of organisms from all three domains of life. Our results clearly show that class I RNRs have spread to Archaea and eukaryotes via transfers from the bacterial domain, indicating that class I likely evolved in the Bacteria. However, against the backdrop of ongoing transfers, it is harder to establish whether class II or III RNRs were present in the LUCA, despite the fact that ribonucleotide reduction is an essential cellular reaction and was pivotal to the transition from RNA to DNA genomes. Instead, a general pattern of ongoing horizontal transmission emerges wherein environmental and enzyme operational constraints, especially the presence or absence of oxygen, are likely to be major determinants of the RNR repertoire of genomes. Bacillus anthracis is a severe mammalian pathogen. The deoxyribonucleotides necessary for DNA replication and repair are provided via the ribonucleotide reductase (RNR) enzyme. RNR is also important for spore germination and cell proliferation upon infection. We show that the expression of B. anthracis class Ib RNR responds to the environment that the pathogen encounters upon infection. We also show that several anti-proliferative agents (radical scavengers) specifically inhibit the B. anthracis RNR. Owing to the importance of RNR in the pathogenic infection process, our results highlight a promising potential to inhibit the growth of B. anthracis early during infection. Dielectrophoresis (DEP) represents a powerful approach to manipulate and study living cells. Hitherto, several approaches have used 2-D DEP chips. With the aim to increase sample volume, in this study we used a 3-D carbon-electrode DEP chip to trap and release bacterial cells. A continuous flow was used to plug an Escherichia coli cell suspension first, to retain cells by positive DEP, and thereafter to recover them by washing with peptone water washing solution. This approach allows one not only to analyze DEP behavior of living cells within the chip, but also to further recover fractions containing DEP-trapped cells. Bacterial concentration and flow rate appeared as critical parameters influencing the separation capacity of the chip. Evidence is presented demonstrating that the setup developed in this study can be used to separate different types of bacterial cells. The small flavoprotein NrdI is an essential component of the class Ib ribonucleotide reductase system in many bacteria. NrdI interacts with the class Ib radical generating protein NrdF. It is suggested to be involved in the rescue of inactivated diferric centres or generation of active dimanganese centres in NrdF. Although NrdI bears a superficial resemblance to flavodoxin, its redox properties have been demonstrated to be strikingly different. In particular, NrdI is capable of two-electron reduction, whereas flavodoxins are exclusively one-electron reductants. This has been suggested to depend on a lesser destabilization of the negatively-charged hydroquinone state than in flavodoxins. We have determined the crystal structures of NrdI from Bacillus anthracis, the causative agent of anthrax, in the oxidized and semiquinone forms, at resolutions of 0.96 and 1.4 Å, respectively. These structures, coupled with analysis of all curated NrdI sequences, suggest that NrdI defines a new structural family within the flavodoxin superfamily. The conformational behaviour of NrdI in response to FMN reduction is very similar to that of flavodoxins, involving a peptide flip in a loop near the N5 atom of the flavin ring. However, NrdI is much less negatively charged than flavodoxins, which is expected to affect its redox properties significantly. Indeed, sequence analysis shows a remarkable spread in the predicted isoelectric points of NrdIs, from approximately pH 4–10. The implications of these observations for class Ib ribonucleotide reductase function are discussed. Horizontal acquisition of DNA by bacteria dramatically increases genetic diversity and hence successful bacterial colonization of several niches, including the human host. A relevant issue is how this newly acquired DNA interacts and integrates in the regulatory networks of the bacterial cell. The global modulator H-NS targets both core genome and HGT genes and silences gene expression in response to external stimuli such as osmolarity and temperature. Here we provide evidence that H-NS discriminates and differentially modulates core and HGT DNA. As an example of this, plasmid R27-encoded H-NS protein has evolved to selectively silence HGT genes and does not interfere with core genome regulation. In turn, differential regulation of both gene lineages by resident chromosomal H-NS requires a helper protein: the Hha protein. Tight silencing of HGT DNA is accomplished by H-NS-Hha complexes. In contrast, core genes are modulated by H-NS homoligomers. 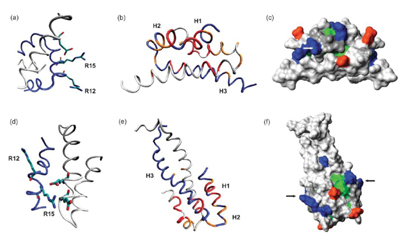 Remarkably, the presence of Hha-like proteins is restricted to the Enterobacteriaceae. In addition, conjugative plasmids encoding H-NS variants have hitherto been isolated only from members of the family. Thus, the H-NS system in enteric bacteria presents unique evolutionary features. The capacity to selectively discriminate between core and HGT DNA may help to maintain horizontally transmitted DNA in silent form and may give these bacteria a competitive advantage in adapting to new environments, including host colonization. BACKGROUND:Ribonucleotide reductases (RNRs) catalyse the only known de novo pathway for deoxyribonucleotide synthesis, and are therefore essential to DNA-based life. While ribonucleotide reduction has a single evolutionary origin, significant differences between RNRs nevertheless exist, notably in cofactor requirements, subunit composition and allosteric regulation. These differences result in distinct operational constraints (anaerobicity, iron/oxygen dependence and cobalamin dependence), and form the basis for the classification of RNRs into three classes.DESCRIPTION:In RNRdb (Ribonucleotide Reductase database), we have collated and curated all known RNR protein sequences with the aim of providing a resource for exploration of RNR diversity and distribution. By comparing expert manual annotations with annotations stored in Genbank, we find that significant inaccuracies exist in larger databases. To our surprise, only 23% of protein sequences included in RNRdb are correctly annotated across the key attributes of class, role and function, with 17% being incorrectly annotated across all three categories. This illustrates the utility of specialist databases for applications where a high degree of annotation accuracy may be important. The database houses information on annotation, distribution and diversity of RNRs, and links to solved RNR structures, and can be searched through a BLAST interface. RNRdb is accessible through a public web interface at http://rnrdb.molbio.su.se.CONCLUSION:RNRdb is a specialist database that provides a reliable annotation and classification resource for RNR proteins, as well as a tool to explore distribution patterns of RNR classes. The recent expansion in available genome sequence data have provided us with a picture of RNR distribution that is more complex than believed only a few years ago; our database indicates that RNRs of all three classes are found across all three cellular domains. Moreover, we find a number of organisms that encode all three classes. Proteins of the Hha/YmoA family co-regulate with H-NS the expression of virulence factors in Enterobacteriaceae. Vibrio cholerae lacks Hha-like proteins and its H-NS (vcH-NS) is unable to bind Hha, in spite of the conservation of a key residue for Hha binding by Escherichia coli H-NS (ecH-NS). Exchange of the residues in position 9 between vcH-NS and ecH-NS strongly reduces Hha binding by ecH-NS and introduces it in vcH- NS. These mutations strongly affect the repression of the hemolysin operon in E. coli and the electrophoretic mobility of complexes formed with a DNA fragment containing its regulatory region. The Streptococcus pyogenes genome harbors two clusters of class Ib ribonucleotide reductase genes, nrdHEF and nrdF*I*E*, and a second stand-alone nrdI gene, designated nrdI2. We show that both clusters are expressed simultaneously as two independent operons. The NrdEF enzyme is functionally active in vitro, while the NrdE*F* enzyme is not. The NrdF* protein lacks three of the six highly conserved iron-liganding side chains and cannot form a dinuclear iron site or a tyrosyl radical. In vivo, on the other hand, both operons are functional in heterologous complementation in Escherichia coli. The nrdF*I*E* operon requires the presence of the nrdI* gene, and the nrdHEF operon gained activity upon cotranscription of the heterologous nrdI gene from Streptococcus pneumoniae, while neither nrdI* nor nrdI2 from S. pyogenes rendered it active. Our results highlight the essential role of the flavodoxin NrdI protein in vivo, and we suggest that it is needed to reduce met-NrdF, thereby enabling the spontaneous reformation of the tyrosyl radical. The NrdI* flavodoxin may play a more direct role in ribonucleotide reduction by the NrdF*I*E* system. We discuss the possibility that the nrdF*I*E* operon has been horizontally transferred to S. pyogenes from Mycoplasma spp. In this study, we report that a single mutation of cysteine 18 to isoleucine (C18I) in Escherichia coli Hha abolishes the repression of the hemolysin operon observed in the wild-type protein. The phenotype also includes a significant decrease in the growth rate of E. coli cells at low ionic strength. Other substitutions at this position (C18A, C18S) have no observable effects in E. coli growth or hemolysin repression. All mutants are stable and well folded and bind H-NS in vitro with similar affinities suggesting that Cys 18 is not directly involved in H-NS binding but this position is essential for the activity of the H-NS/Hha heterocomplexes in the regulation of gene expression. The H-NS protein plays a significant role in the modulation of gene expression in Gram-negative bacteria. Whereas isolation and characterization of hns mutants in Escherichia coli, Salmonella and Shigella represented critical steps to gain insight into the modulatory role of H-NS, it has hitherto not been possible to isolate hns mutants in Yersinia. The hns mutation is considered to be deleterious in this genus. To study the modulatory role of H-NS in Yersinia we circumvented hns lethality by expressing in Y. enterocolitica a truncated H-NS protein known to exhibit anti-H-NS activity in E. coli (H-NST(EPEC)). Y. enterocolitica cells expressing H-NST(EPEC) showed an altered growth rate and several differences in the protein expression pattern, including the ProV protein, which is modulated by H-NS in other enteric bacteria. To further confirm that H-NST(EPEC) expression in Yersinia can be used to demonstrate H-NS-dependent regulation in this genus, we used this approach to show that H-NS modulates expression of the YmoA protein. We report the use of ion-selective field effect transistor devices (ISFETs) with an integrated pseudo-reference electrode for on-line monitoring of bacterial metabolism by monitoring of the pH variation. As a model we tested the ability of Lactobacillus strains to ferment sugars, producing lactic acid, which results in a decrease in pH in the suspension medium. We have tested and compared sugar uptake by L. sakei and a L. curvatus strains. The results obtained show that it is possible to distinguish between both types of Lactobacillus strains through their pattern of ribose uptake. The use of ISFETs represents a non-invasive methodology that can be used to monitor biological activity in a wide variety of systems. In this study we report on an experimental method based on dielectrophoretic analysis to identify changes in four Escherichia coli isogenic strains that differed exclusively in one mutant allele. The dielectrophoretic properties of wild-type cells were compared to those of hns, hha, and hha hns mutant derivatives. The hns and hha genes code respectively for the global regulators Hha and H-NS. The Hha and H-NS proteins modulate gene expression in Escherichia coli and other Gram negative bacteria. Mutations in either hha or hns genes result in a pleiotropic phenotype. A two-shell prolate ellipsoidal model has been used to fit the experimental data, obtained from dielectrophoresis measurements, and to study the differences in the dielectric properties of the bacterial strains. The experimental results show that the mutant genotype can be predicted from the dielectrophoretic analysis of the corresponding cultures, opening the way to the development of microdevices for specific identification. Therefore, this study shows that dielectrophoresis can be a valuable tool to study bacterial populations which, although apparently homogeneous, may present phenotypic variability.